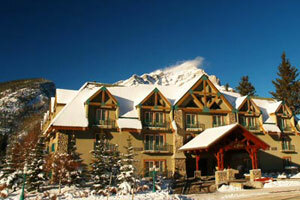 The Banff Inn is one of our best value mid-range hotels in Banff! The Banff Inn offers modern hotel ski accommodations and is located on the main street of Banff Avenue, just a short 7 to 10 minute walk away from the downtown shops, restaurants and many of Banff's attractions. 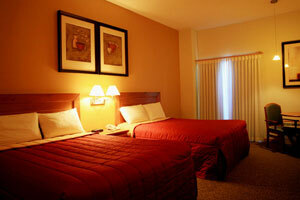 The Banff Inn features well appointed, renovated standard guest rooms as well as rooms with jacuzzi tubs, family bi-level loft units, king rooms and honeymoon suites. All of the Banff Inn's guest rooms are non-smoking and have complimentary wireless service, confidential voice mail and individually controlled air conditioning and heating. One of the best value properties you will find in Banff, you can book the Banff Inn through us with confidence knowing that you are receiving the lowest available rates.